After the 2 months entertainment, Indian Premier League 10th edition finally comes to an end today. 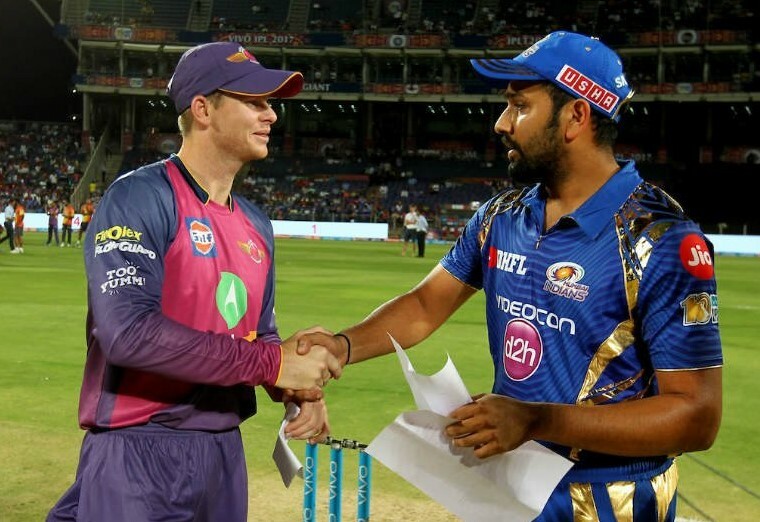 In today’s IPL 10 finals, Rohit Sharma’s Mumbai Indians meets Steven Smith and Dhoni’s Rising Pune Supergiant at Rajiv Gandhi International Stadium, Hyderabad. The match will kick-start at 8:00 PM tonight. The live updates of today IPL final match will be updated on this page, the live coverage starts from 7:30 PM after the toss and the playing 11 announcements. Out of 8 teams, first 4 got the chance to enter into the Playoffs. Mumbai lost their qualifier 1 against RPS. The win made RPS direct finals. In the eliminator match, KKR defeated SRH and MI defeated KKR in the Qualifier 2 to face RPS today. In this edition, Mumbai faced RPS thrice and lost all the 3 times, which is an interesting fact to note down today. Since both the teams are from Maharashtra, Mumbai fans are confused on whom to show their support. Johnson is the man who nailed it in the last over of the match. What a thrilling finish, Mumbai Indians – champions of the Indian Premier League 10th edition. Mumbai Indians (MI) Squad Today: LMP Simmons, PA Patel†, AT Rayudu, RG Sharma*, KH Pandya, KA Pollard, HH Pandya, MG Johnson, KV Sharma, JJ Bumrah, SL Malinga. Rising Pune Supergiant (RPS) Squad Today: AM Rahane, RA Tripathi, SPD Smith*, MK Tiwary, MS Dhoni†, DT Christian, Washington Sundar, LH Ferguson, A Zampa, SN Thakur, JD Unadkat. Some interesting takeaway from the toss. The team batting first has won six out of 10 IPL finals. And two of Mumbai’s three losses to Pune have come chasing a target. So they’re clearly going by history. Plus both their titles had come batting first. IPL 2017 Finals TOSS Report: Mumbai Indians vs Pune Supergiant IPL Finals Toss Update – Mumbai Indians won the toss and decided to BAT first. Both teams playing with the same squad. But most of the fans supports goes to Mumbai Indians. According to our IPL finals predictions, Mumbai Indians will win tonight and lift the IPL trophy as they have strong bowling lineup and opening batsmen when compared to Pune team.